Digression 5: A new Orchid Species: Our Amazing Planet!! For an orchid enthusiast (In Spanish the word for an orchid collector is orchididiot, and it truly fits, what I started as a small collection now numbers 2,000 plants) the news of this discovery of Phragmipedium kovachii is truly incredible. That our overextended planet can still give such surprises is simply amazing. 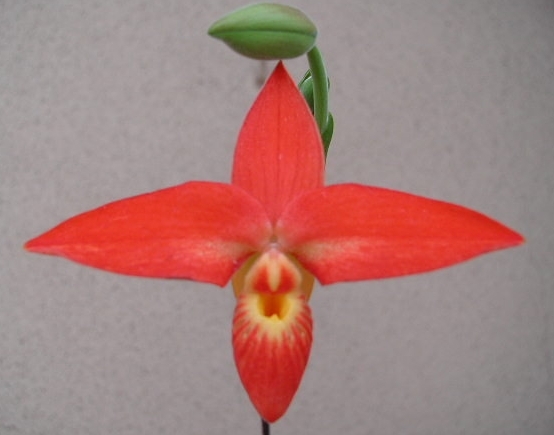 The find, one of the most important ones since the 80�s when another Phragmipedium, Phragmipedium Besseae was also discovered in Peru, shows that we may still see many other new plants in the future. What is most exciting to me is that I know that with current techniques of orchid cloning, I will likely be able to get a clone of this new species for $20 or so in five to eigth years, much like the case of Phragmipedium Besseae. Furthermore, crossing it with other similar species will yield wonderful new hybrids.